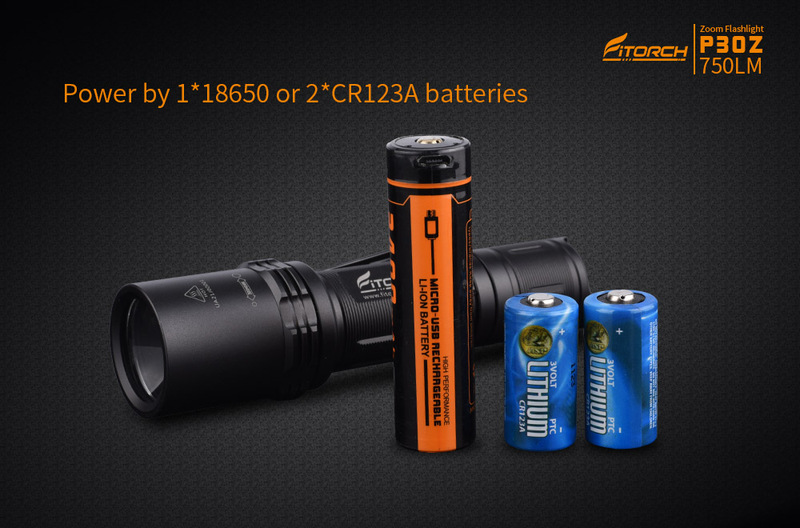 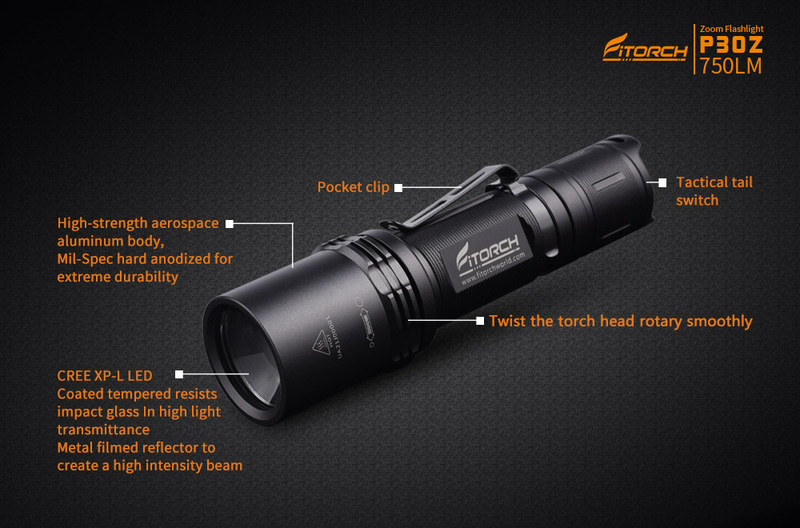 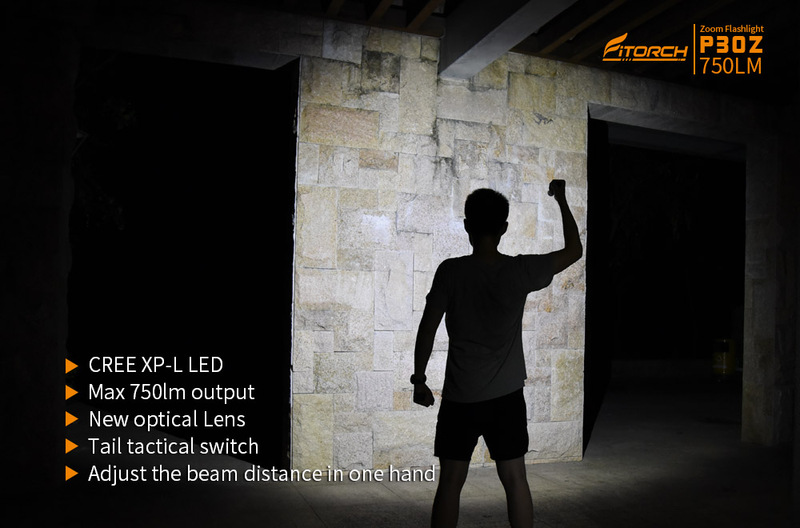 P30Z is a zoomable& adjustable, TIR(Total Internal Reflection) optical lens, compact Mil-Spec hard anodized aluminum heatsink tri-output, owns strobe and SOS tactical functions LED flashlight with a stunning 750 lumens maximum output, It's also ideal for daily carrying, hiking, riding, camping and so on. 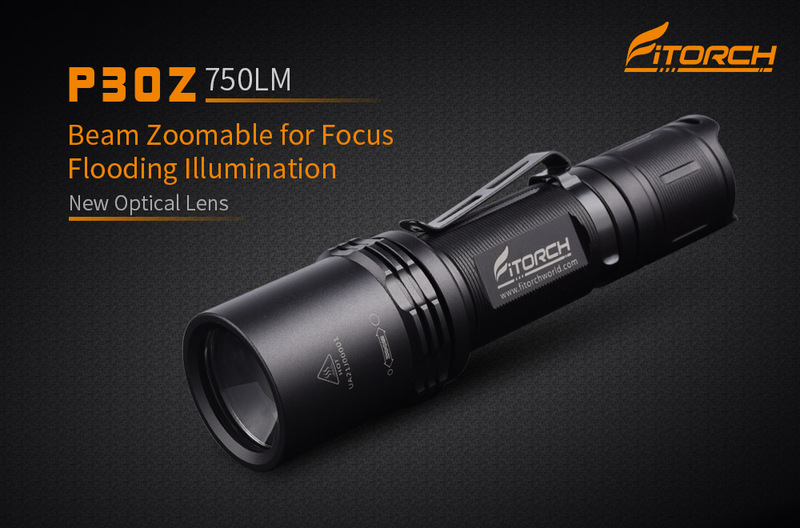 * Beam Zoomable &adjustable for various applications. 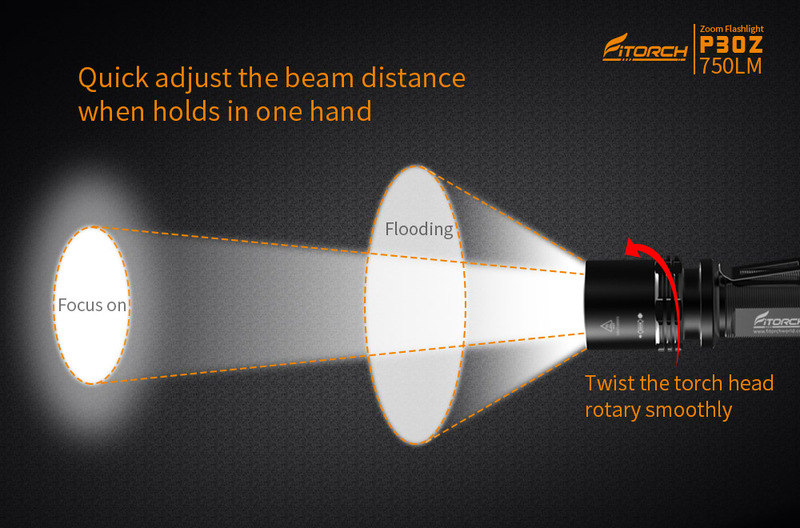 * TIR Optical lens to create a high intensity beam. 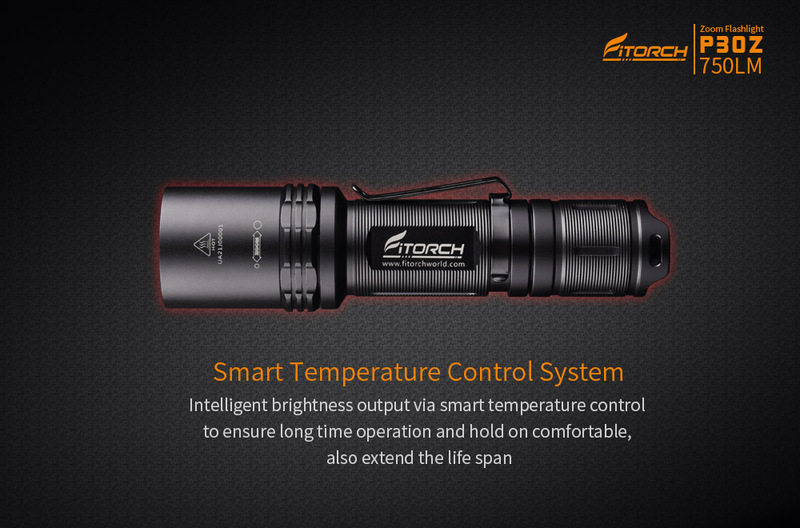 * Waterproof O-ring and gasket sealing. 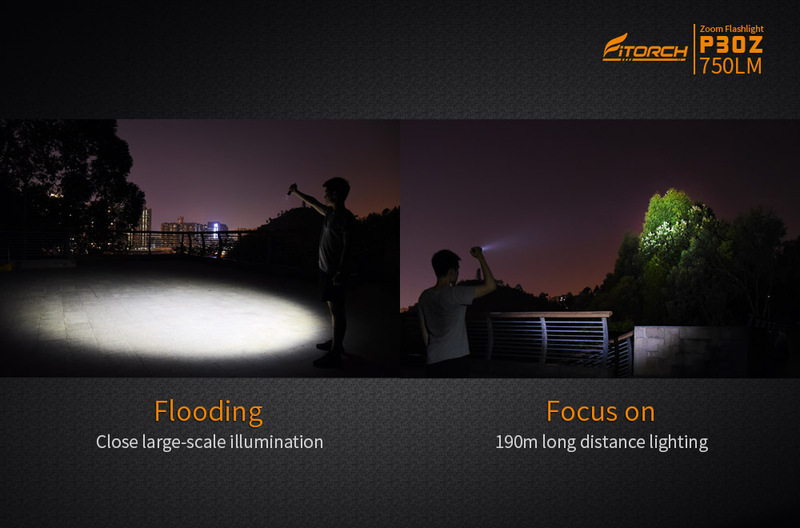 * High, Medium, Low brightness and strobe, SOS function. 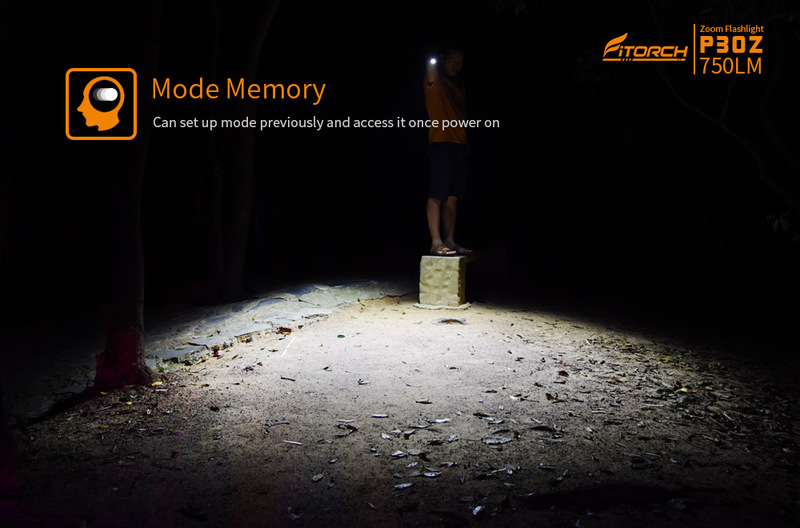 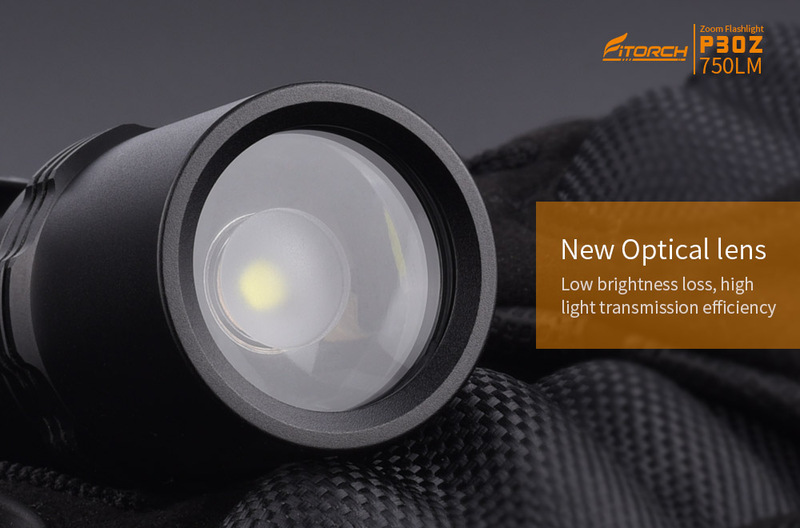 * New Optical lens,Low brightness loss, high light transmission efficiency. 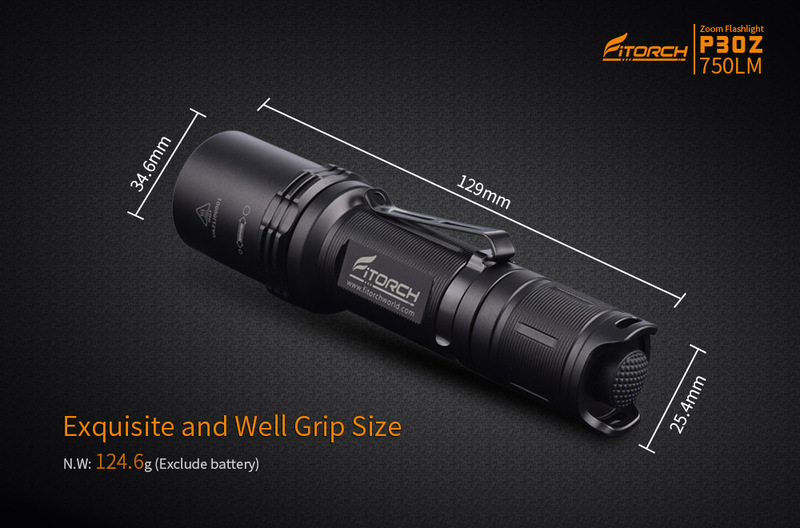 * Quick adjust the beam distance when holds in one hand. 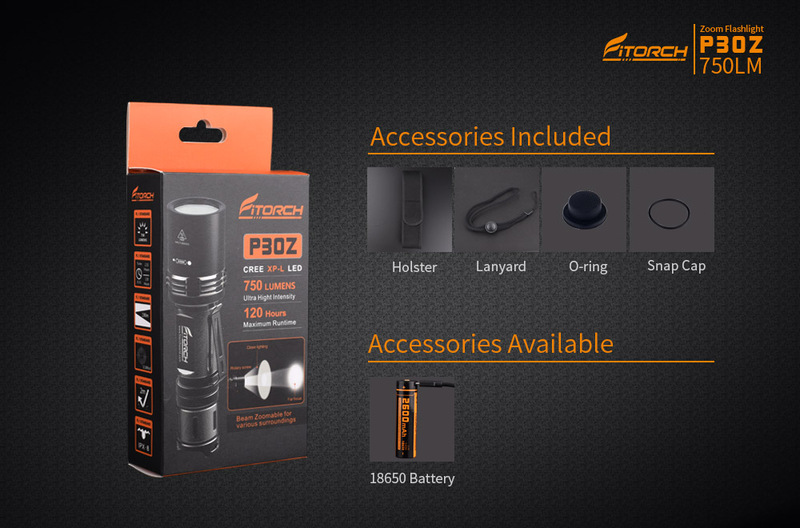 * Removable pocket clip; nylon holster and Lanyard included. 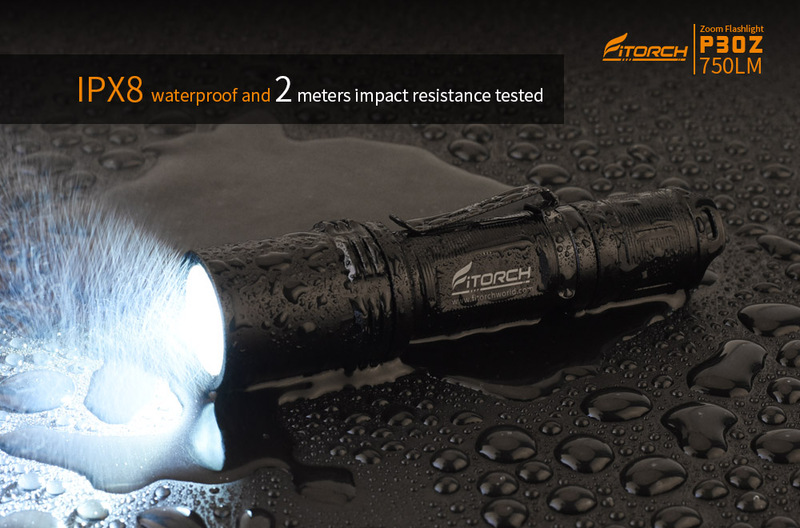 * IPX-8 water resistance, 2 meter impact resistance tested.